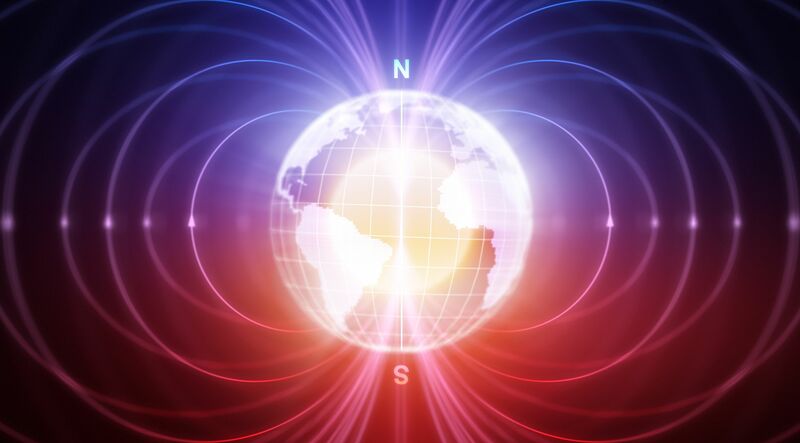 The human brain senses and responds to changes in Earth’s magnetic field—a sense known as magnetoreception. The Earth’s magnetic field is what causes a compass to point north, with the pin being drawn to the magnetic North Pole. This pole is, however, constantly moving. At the moment it is moving from Canada towards Siberia at an unexpectedly fast pace—something scientists are currently working to understand. Being able to use the magnetic field to navigate is a phenomenon found across the animal kingdom. Migratory birds and sea turtles, for example, use it as part of their internal navigation systems to travel vast distances across the globe. However, research into magnetoreception in humans has been limited. “Birds, bees, fish, bats, moles and many other animals have been shown in study after study to have a navigational magnetic sense,” Caltech’s Joseph Kirschvink told Newsweek. “In other words, they use the Earth’s magnetic field as a means of gaining information about what direction they are moving or pointed in—much like [how] humans have used the setting and rising Sun and the stars at night to orient themselves. In his latest study, Kirschvink and colleagues from Caltech and the University of Tokyo found evidence to suggest the human brain senses and responds to the Earth’s magnetic field. In a small study—just 18 participants—the team monitored the electrical activity of people’s brains while manipulating the magnetic field. Their findings, published in the journal eNeuro, suggest humans do have magnetoreception. “Unlike behavioral experiments, which are difficult to adequately constrain, a passive EEG [electroencephalogram] experiment enabled us to introduce multiple controls to not only eliminate non-magnetic sensory confounds and artifacts, but also to conclusively eliminate electrical induction and quantum chemistry as potential avenues by which magnetic field stimuli might enter into the brain,” Kirschvink said. The team found there was a drop in brain activity following short, controlled changes to the direction of the magnetic field around the participant. Far more research is needed to understand magnetoreception in humans. For example, findings only related to people living in the Northern Hemisphere, where the experiment took place. “What happens in the Southern Hemisphere? Do people who were born and raised there respond to the upwards magnetic fields, in contrast to Northerners who are used to the field pointing downwards? And what happens on the geomagnetic equator in places like Palau, or in space?” Kirschvink said.